Two Charlie Austin headers in the space of six second-half minutes helped Southampton claim a 4-1 victory over Everton. 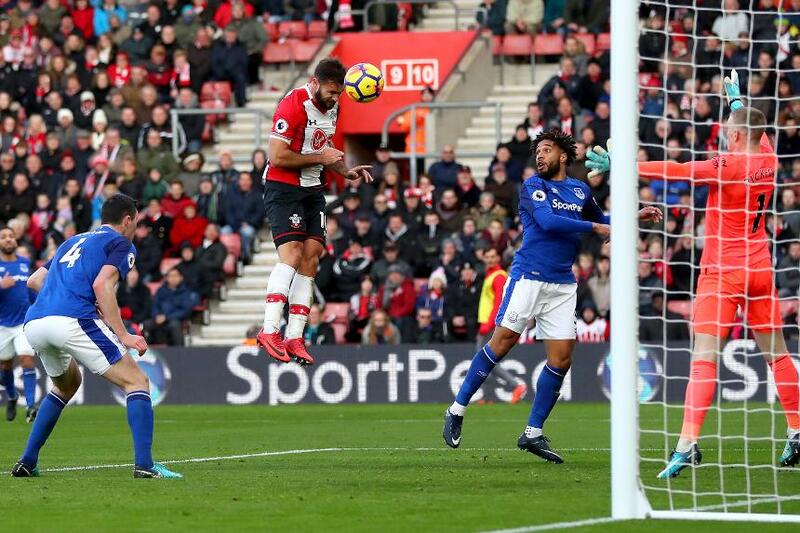 Dusan Tadic put Saints ahead in the 18th minute with a smart finish from Ryan Bertrand's through-ball but Everton equalised through Gylfi Sigurdsson's first PL goal for the Toffees, in first-half stoppage time. Austin put Saints ahead again with a header from Bertrand's cross seven minutes after the restart and soon made it 3-1 with an almost identical header, this time from Tadic's centre. Steven Davis secured a convincing win that took his side on to 16 points, when firing in from the edge of the area with three minutes left. Defeat leaves Everton two points above the relegation zone.